Travel the world in the newest addition to the World’s Greatest Cities Mosaics series! 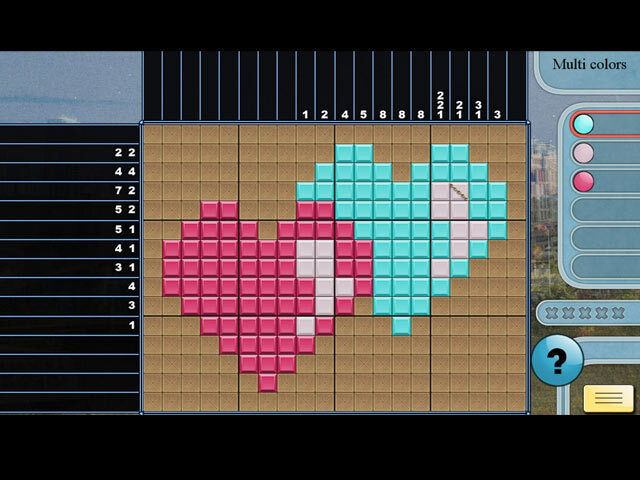 Explore the world’s most stunning cities while solving challenging logic-based mosaic puzzles. Test your puzzle solving skills with over 100 levels and four distinct mosaic puzzle types while discovering interesting facts along the way! 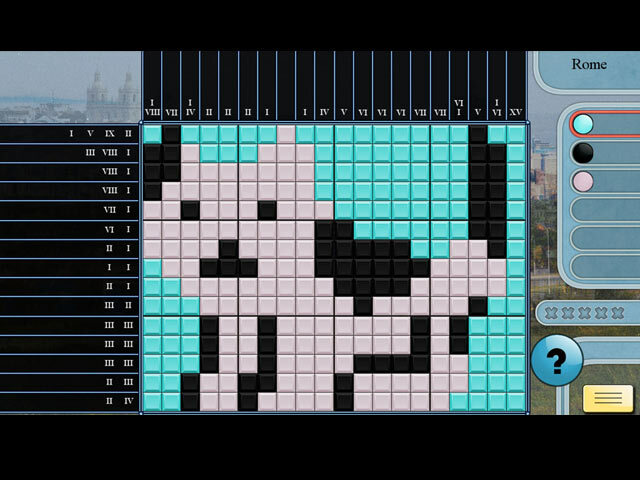 Play World’s Greatest Cities Mosaics 4 today! 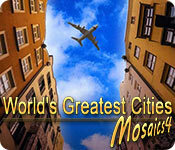 World's Greatest Cities Mosaics 4 is rated 4.6 out of 5 by 7. Rated 5 out of 5 by verimeri from loved the variety This is a mosaic game but it has levels that are really fun to play. First there is mystery lands where you can see an animated picture developing as you complete the mosaic. Then there is maze where you build a maze during the mosaic phase then work your ball through the maze to complete it. These developers could put out a mosaic game that is only mystery lands and mazes and I would buy it immediately . I needed no hints. These games are logic based. Some criticism. The majority (3 of 5 ) are normal multi color. But they need to add a lot more colors. Most of them are only three colors. Also there is a small lag between levels. Rated 5 out of 5 by kerith90angel from This game shines with it's moving water, and maze grids! BASED ON COMPLETED DEMO I am a big fan of Mosaic Grid games in general. I buy them a lot and play them daily. When I played the first in this series I was amazed by how creative and clever this DEV is. When I was doing the demo for this game I was half way through playing FM #20, so I noticed more what I liked and disliked about each of the game series by comparison. Personally, I don't like the Roman numeral levels in this series. I don't have a problem with reading Roman numerals but it just seems redundant (and annoying, instead of fun for me). The multi-color levels are kind of basic (picture-wise) in comparison to the other game I had been playing so in this one I was dying to get to the next "moving grids" and "maze grids". I agree with Pennmom36, the colors should be more varied over the levels and more vivid. I too, liked the shaped levels. To perfect this game, I'd tweak how the shadow guide for the row to be elongated into the row where your grid numbers are. I change the color of the border of the grid from black to a lighter color so you can see the shadow guide into the grid numbers. I kept mis-clicking due to being in the wrong row and realized my shadow row guide (which was in the other game I was playing) is now missing, and how much I missed it. I preferred some of the types of grids in this game more so then others and would rate them differently. I'd give the Maze and the Moving item levels a 10* of 5*-- if possible. I know if the game had ALL grids of this type I would have to buy every grid game that came out by this DEV. I'd rate the usual colored square levels a 3* of 5*; Roman Numeral levels a 0* of 5*. What sets this game apart from all the others are the levels with the moving pictures you create with water, stone, grass & flowers. Watching boats and critters move over and through these areas is mind blowing because when I see it all done I'm happy just to sit and watch my completed grid! The same applies with the maze levels you create; it's what sets it apart from ALL games of it's type. It is SO FUN to be able to play within the grid you just created. I would offer way more of those 2 types of grids in the newer versions of this game. Note to the Developer...... This game has so much potential for some really neat spin off series, such as "National Forests" with the same type of learning/fact info. we see about the cities here, we could learn about different forests and the animals that live there. In the mazes you could lead a lost animal, like a baby fox, back to his family; or sheep to it's flock, etc. Or a series with National Gardens, using placement of water, waterfalls, flowers, fish, animals, and learn about world gardens instead of cities. Spending a lot of time in Vermont makes me naturally like forests way more than cities and in general I prefer spending time there. This DEV thinks outside of the grid :) AND I LOVE IT. Keep them coming and I'll keep on buying!! Rated 5 out of 5 by ColoNative from Great Grid Game This is a great mosaics/grid game. The locating a different color grid for a jigsaw puzzle piece that was in previous puzzles is replaced by a different type of in-game puzzle that is so much better for those of us that are visually challenged. Great work. Rated 5 out of 5 by MrsBen from WORLD'S GREATEST CITIES MOSAICS 4...OH MY GOODNESS!!! This game has all the neat features of the previous games and the devs have come up with even more concepts!!! These puzzles are excellent!!! They even have a puzzle within a puzzle! No way will you be bored...if these puzzles are your thing, like they are mine, you owe it to yourself to try it! Rated 5 out of 5 by romany09 from ANOTHER WINNER! I am a mosaic/griddler fan and World's Greatest Cities are one of my favorites. Like previous ones, we read interesting info about particular cities, listen to upbeat music, and get to be creative while playing. 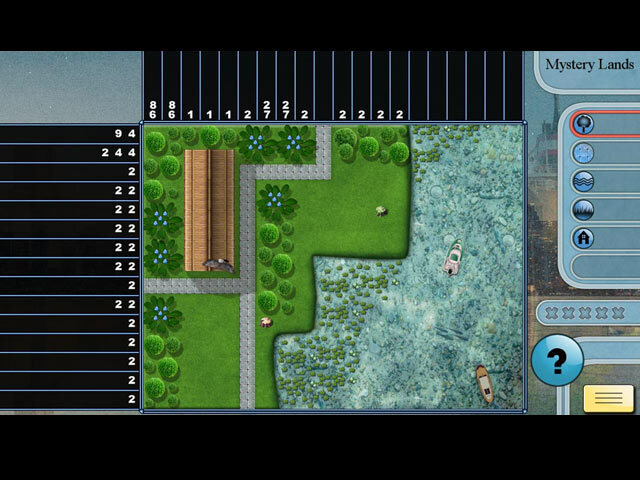 My favorite puzzles are Mystery Lands with images in each square and animated graphics of boats and swimming creatures. There are the usual puzzle grids including Roman numerals and labyrinths, but the developers are so innovative that this time they have given us a puzzle within a puzzle that is so fun (but skippable). Instead of numbers we have geometric symbols or alphabet letters. Kind of a surprise and an extra eye-opener to go along with my morning coffee! Bought the game and off to play some more! Rated 4 out of 5 by pennmom36 from AT LEAST I GET A VARIETY OF MOSAIC TYPES TO BREAK UP THE MONOTONY I love the variety of Mosaics offered by this dev, but I would love to see more colors added because typically there are only 3 available colors. I think those colors could be a little more vivid as well, and I wish they would label the pictures afterward so I know for sure what the completed picture is. I love reading the interesting facts about all the different Cities around the World, which is a feature offered in this game, as well as World's Greatest Places Mosaics and Mahjong games. You can play in a Casual, Normal or Expert difficulty mode, or you can customize the difficulty mode by choosing if you want to play in a timed mode, if you want bonus points as a time bonus, whether you want numbers crossed off one by one or only when the entire row has been completed, and you can set the number of mistakes allowed from 1-5 and how long it takes for the hint feature to recharge from 30-120 seconds. There are 4 different types of Mosaics offered: *Traditional (multi-colored) which has 3 different colors to switch between to help you solve the puzzle. (there are also multi-colored Shape puzzles, my personal favorite, where shapes replace the numbers, if you scan over the shape, the traditional is displayed) In some of the puzzles, some sections may be locked, requiring you to complete a different color to unlock those sections. *Mystery Lands which fills in each cell with 3 different kinds of pictures that when complete forms a beautiful scene, often with swimming fish, turtles etc. *Rome Game is the same as Traditional except the numbers are presented as Roman Numerals, but if you scan the mouse over the numbers it will show the traditional number. *Labyrinth Game is similar to Mystery Lands, but after completing the puzzle, you move objects from point A to B by clicking on intersections of a maze. WORLD'S GREATEST CITIES/PLACES MOSAICS SERIES Title***Release Date***Average Rating 1-World's Greatest Cities Mosaics 1 (March 7-2016) 3.5 2-World's Greatest Cities Mosaics 2 (October 20-2017) 4.6 3-World's Greatest Cities Mosaics 3 (December 11-2017) 3.2 4-World's Greatest Cities Mosaics 4 (April 4, 2018) n/a 1-World's Greatest Places Mosaics 1 (March 16-2016) 2.8 2-World's Greatest Places Mosaics 2 (September 6-2017) 4.8 WORLD'S GREATEST CITIES/PLACES MAHJONG SERIES Title***Release Date***Average Rating 1-World's Greatest Cities Mahjong (January 12-2012) 4.3 1-World's Greatest Places Mahjong (January 17-2012) 4.2 by: Oleksly Shtykov Oleksly Shtykov Games: World's Greatest Cities Mosaics, World's Greatest Places Mosaics, Winter Mosaics, Spring Mosaics, Flowers Mosaics, Space Mosaics, Forest Mahjong, Flowers Mahjong, Ocean Mahjong, Winter Mahjong. World's Greatest Temples Mahjong, World's Greatest Cities Mahjong, World's Greatest Places Mahjong. Rated 3 out of 5 by coqa from Guessing again I do get fed up with these Mosaic's were you can't use logic, you just have to guess. Plus the pause between levels is annoying. Doesn't tease my brain!